Morito has been serving delicious and innovative tapas and mezze in the heart of London’s Exmouth Market for over three years. 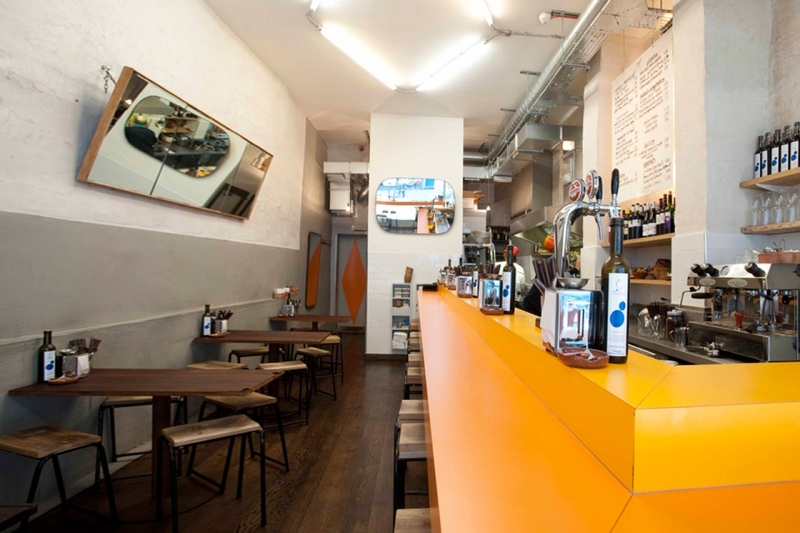 Described by Times critic Giles Coren as “simultaneously supercool and modest, and as much like a brilliant little backstreet place in Spain as you’ll find in this country”, Sam and Sam Clark’s little gem of a tapas bar packs a big culinary punch, attracting critical acclaim and constant queues. Now, with the publication of its first cookbook, Morito, the tapas bar's small plates can be cooked and eaten at home. Photographed over the course of two years, often by members of the Morito team, the pages of the book invite you in to celebrate and share the special character and atmosphere of Morito, which people often say 'hits you like a wall of joy'. "Sometimes it can be hard to find one thing you want to cook for yourself in a restaurant cookbook – the problem here is finding something you don't. The writing is warm and engaging and the recipes are easy to follow."